The Swedish Exhibition & Congress Centre brings together all the leading players from industry, R&D, academia, finance and politics to set the agenda across a broad spectrum of sectors and technologies. Im schwedischen Messe- und Kongresszentrum treffen sich die führenden Akteure aus Industrie, Forschung und Entwicklung, Bildung, Finanzen und Politik, um für zahlreiche Branchen und Technologien den Weg in die Zukunft zu gestalten. First and foremost, people come to Sweden to discover what’s new in terms of technology, trends and innovations. Vor allem kommen Tagungsgäste nach Schweden, um sich über die aktuellsten Technologien, Trends und Innovationen zu informieren. Elektrizität, Immobilien, Architektur, Logistik und Transport, Lebensmittelindustrie, Holzprodukte und -technologie, Automatisierung, Prozesstechnologie, Onlinehandel, Verpackung, Instandhaltung und Fahrzeugbau. - The Nordic region's leading meeting place for tomorrow’s electrical industry. - Ideas and innovations in energy technology, business models and strategy. - A catalyst for implementing strategies and visions. - The Nordic region’s leading trade fair and conference for transport, logistics and warehousing. - Trade fair for future property development, co-located with an international real estate conference. - Bringing together the various players in construction: architects, specifiers, builders and suppliers. - The Nordic region’s leading event for the automotive and engineering industry’s aftermarket. - A new meeting place for the entire food industry. - Northern Europe’s leading trade fair addressing the challenges for industrial maintenance and operations. 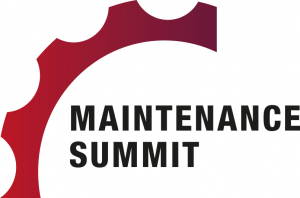 - The conference focusing on digitised industrial maintenance. - The meeting place for tomorrow’s wood industry with the Wood Fusion seminar on sustainable construction. - Discussing the issues that contribute to a safer, smarter and more profitable digital enterprise. - A meeting place for process engineering equipment, process automation and solutions for the process industry. - Everything in components, systems, industrial automation, process automation and machine manufacturing. - A cross-sector conference that addresses the direction of Sweden’s industrial digitisation. - Northern Europe’s leading and most important packaging trade fair, covering the entire value chain. – Welcome to the industry’s global hotspot! Angela Merkel and Stefan Löfven focused on the importance of the cooperation between Sweden, Germany and EU. They also mentioned the importance of innovations, new technology and how inportant the technology indunstry is for the future. The Swedish Exhibition & Congress Centre and Gothia Towers is one of the largest fully integrated meeting venues in Europe – all under one roof with everything else just around the corner. Thanks to a diverse event portfolio we attract 1.8 million visitors to our venues each and every year. Das schwedische Messe- und Kongresszentrum und Gothia Towers gehört zu den größten Tagungszentren Europas mit Komplettangebot – hier finden Sie alles unter einem Dach sowie alles Weitere in unmittelbarer Nähe. Ein reiches Veranstaltungsportfolio lockt jedes Jahr 1,8 Millionen Besucher in unsere Anlagen.